Mother’s Day is the one day out of the year devoted to you. You spend all year taking care of the kids, the house and your partner – you deserve a little time off! It’s okay to be selfish and spend some quality time by yourself, but if you can’t find time on the official Mother’s Day, find some other time to pamper yourself by taking our suggestions or creating your own. Have dad take the kids for the day or find a babysitter and schedule a nice relaxing day of pampering. 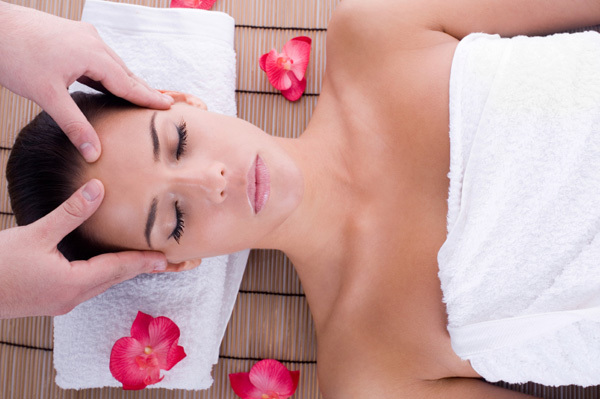 Get a massage, a mani/pedi, a facial or all three! Enjoy a whole day that focuses on you without feeling like you should be taking care of someone else. When’s the last time you spent an afternoon chatting with your friends over a leisurely lunch without bringing your kids along or rushing off to pick them up? Since it’s Spring, you can find a lovely outdoor patio to dine on while sipping Margaritas, noshing on appetizers and having some good quality uninterrupted girl talk. you even remember the last movie you saw at the theatre? Sure a DVD with the family is great, but nothing beats going to the theatre and munching on popcorn where you can enjoy a good old fashioned movie. See something that’s not family friendly for a change and enjoy! If you choose to spend Mother’s Day with your loved ones, make sure you don’t do any work. Cater in food, make your husband BBQ or have the local deli prepare a lovely picnic to take with you to the park or beach. Also, leave the dishes to someone else. Hire a cleaning service to clean up afterwards or use paper plates at your BBQ so you don’t have to use any elbow grease. Go out and buy a Mother’s Day gift for yourself. It’s not like you don’t deserve it! Leave the kids at home so you can try on shoes, a fun summer dress or a whole new wardrobe without lugging around diaper bags, worrying about what your kids are getting into or trying to fit a stroller into the dressing room. If you’re feeling really decadent, rent a hotel room just for yourself and live it up! Order room service, enjoy a warm bubble bath, visit the spa, read a book by the pool or just plain relax without the distractions of housework, kids or even your husband. Mother’s Day was designed to honor hard working moms, however, when that Sunday rolls around, you often still find yourself cooking dinner or cleaning up after the kids. This year, take steps to find some time for yourself and indulge in a full day of pampering. If you find you’re too busy on Mother’s Day, make sure you spend at least one day out of the year rejuvenating yourself so you have the energy to get back to focusing on your family.